On my previous Pregnancy Highlights post, I shared some of the most treasured moments of my pregnancy. The original draft of that post contained 10 highlights, however only 5 made it to the final version that you read, as I felt the post was already quite long and there was too much information to digest all at once. 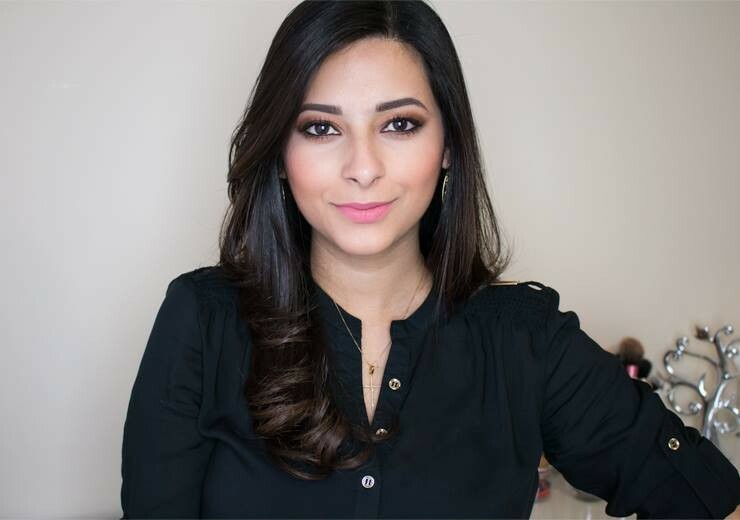 Since I received a very positive response from you, my readers, I decided to share the other 5 special moments of my pregnancy on this post. All these moments are equally as important in my mind and it melts my heart just thinking of them! For your own reading pleasure, here are a few more highlights of my pregnancy. I remember feeling dreadfully nauseous and thinking I was going to be sick in the waiting room, but the moment that cool gel touched my belly and the image of our lovely baby was projected onto a screen in front of us, even if for a few minutes, I forgot about the nausea, the sickness and the uncomfortable bloated feeling under my breasts. 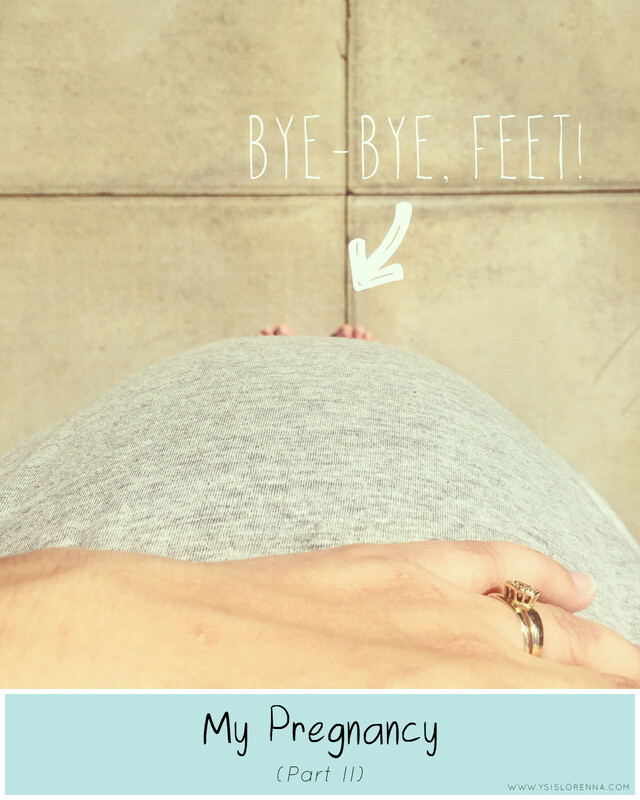 His legs were non-stop kicking up in the air; we couldn’t believe that there was so much movement going on inside me and I couldn’t feel a thing! 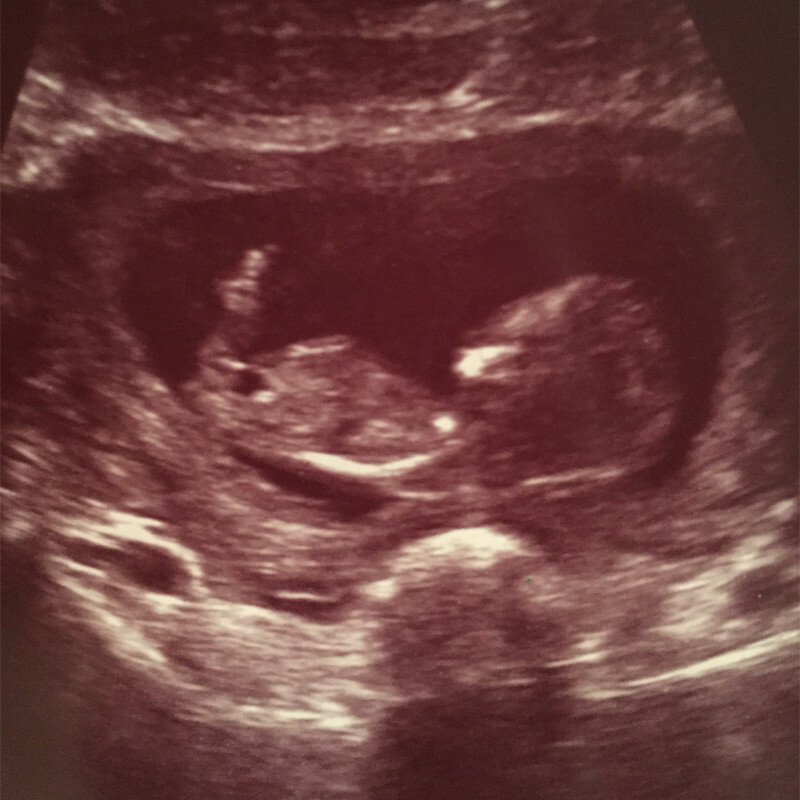 It was unbelievable to see baby moving so much at only 12 weeks. Now he’s 9 months old and nothing has changed – he’s such a wriggly-pants! The Moses basket was an impulse buy, but the pram was very much a careful and considered investment. Both were just as exciting to put together! 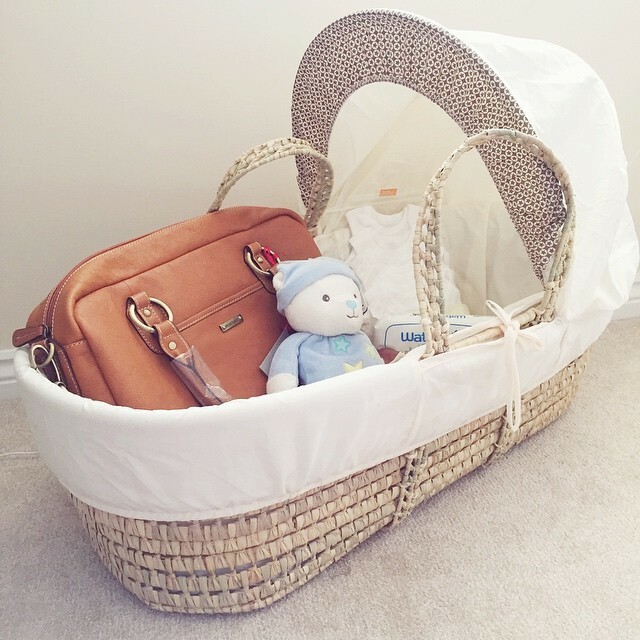 When I put the Moses basket on the stand next to our bed, I had butterflies in my stomach (maybe they were kicks! ), thinking that in a few weeks time, my tiny little newborn baby would be setting base in his new quarters and staying there for the foreseeable future. I could hardly wait! Then the pram arrived and after struggling to make sense of it, as typical first time parents, Matthew and I gave it a spin around the house, imagining taking our little boy out for walks around the park (or the shops! ), then quickly having to take everything apart and put it in the boot of the car, like pros. Needless to say we looked a bit silly that time and the first few times we had to put the pram together and take it apart, but we were silly new parents in a little bubble of happiness, so we didn’t mind. I had an image in my mind of what I wanted to do with the small study room we had chosen to be our baby’s nursery. It took months of scrolling through Pinterest boards for inspiration, browsing the shops and looking for sales and deals. I had dreamed of building my baby’s nursery even before I got pregnant – way before – so I really took my time to make sure we had created a space that we were both happy with, on quite a tight budget, and a place where we could picture our baby in it. It’s modest, but it’s us and I loved every minute of seeing it come together. 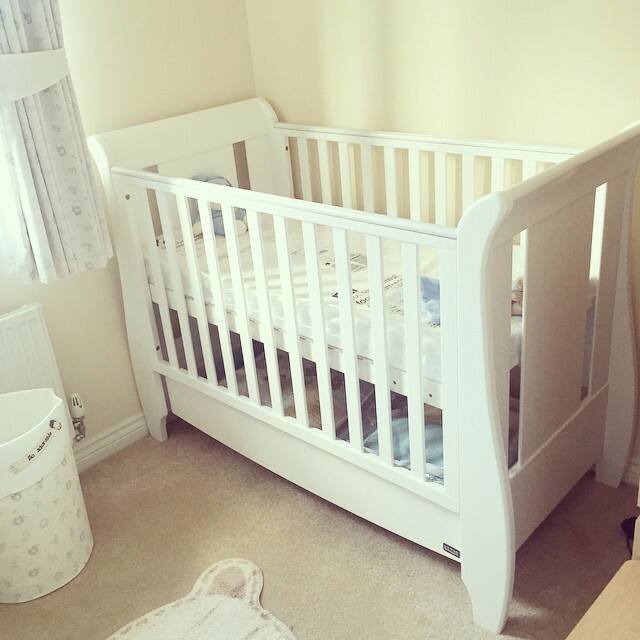 We left it quite late to buy the nursery furniture, and had we waited another couple of weeks to build everything, our baby would have preceded his bedroom, as I was induced 3 weeks before my due date. I remember spending days and nights writing down names, matching it to our surname, thinking of how the initials would look like, how it would look next to our names and his potential future siblings. Matthew and I have the same taste for simple classic names, so it wasn’t hard to come to a consensus together. James was the first name we chose and although we played around with other names, we always seemed to go back to it. It was simple, classic, with a family history, easy to pronounce and spell. We kept it a surprise until the day he was born, but in private, we often referred to the baby bump as James. The only person we told about our son’s name before he was born was Matthew’s grandpa, who sadly, passed away on New Year’s Eve without meeting James, but at least he took with him that piece of privileged information about his great-grandson. 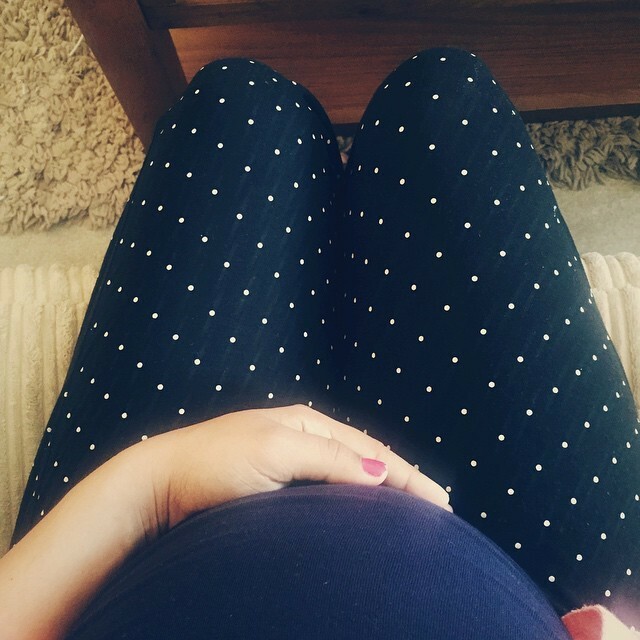 If you enjoy reading my pregnancy posts, you can subscribe to my blog via email or on Bloglovin. Please leave any suggestions on the comments section below, for posts you would like to see here on my blog or videos on my YouTube channel.